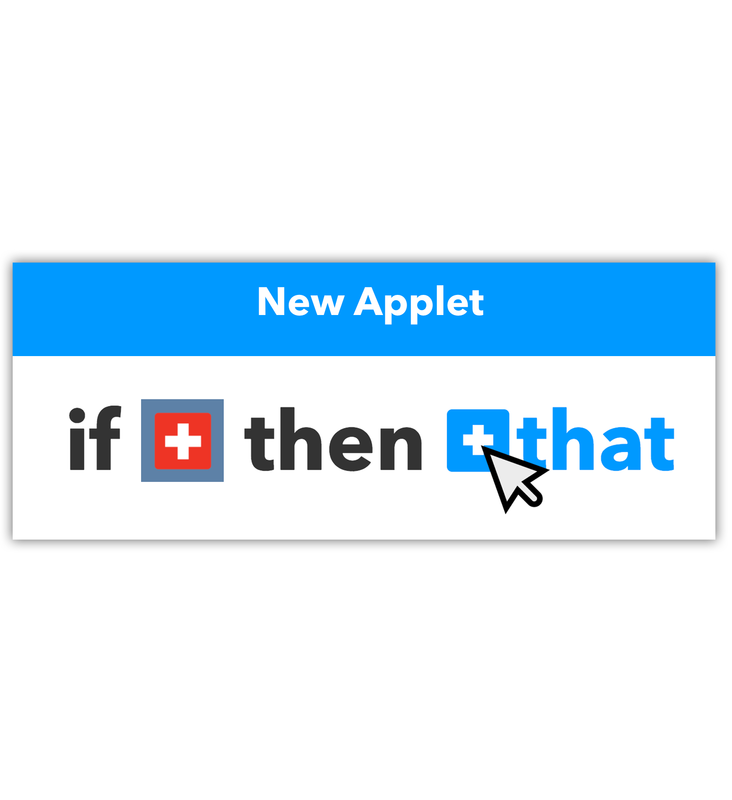 IFTTT, which stands for If This Then That, is a free service that allows your devices to communicate with each other through simple conditional statements, called Applets. Applets, which always follow the ‘if this, then that’ format, are now able to use AirVisual Pro readings in “IF” statements. For example, “IF indoor AQI exceeds 50” or “IF temperature drops below 21C” THEN take action on another device or app. In fact, any measured parameter on the Pro can be used to trigger actions, opening a world of possibility for smart device integration. 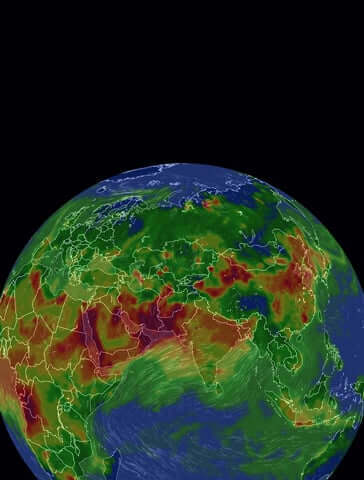 + IF CO2 rises above 2,000ppm, THEN send a phone alert. + IF RH drops below 40%, THEN automatically cue a humidifier. + IF AQI > 150, THEN record spike on a Google spreadsheet. 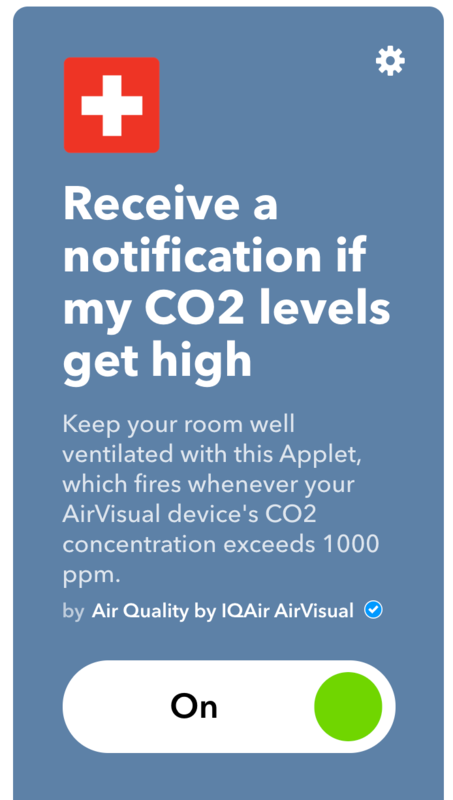 + IF AQI > 50, THEN email your building management. + IF AQI >100,THEN automatically tweet readings from your outdoor AirVisual monitor. ↳ Just to get you thinking! To get started, simply create an IFTTT account on https://ifttt.com and then visit the IQAir AirVisual platform page at https://ifttt.com/IQAir. We have already generated several Applets, which can be immediately integrated with the click of a single button. Don’t let this list confine your imagination, however. While premade Applets are a great starting point, it’s nearly just as simple to create your own.